As I’m sure you have all figured out by now, the mission for @Homes Realty Group is: The consumer comes first. …always! When I made that statement, I meant it. When you state something so bold, you’d better have the guts to back it up, in all areas of your business, not just those that you choose to follow. 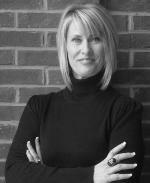 I’m writing this post about the first agent to join @Homes Realty Group, Kathy York. …I’m So proud of her and the way she represents @Homes. Always smiling, always ready and very eager to please. More importantly, ALWAYS doing what is best for her clients. Case in point: Kathy has been working with a couple that is relocating to our area. They have been searching and searching AND searching. The perfect home had not appeared, until last week. The buyers fell in love with a new subdivision in the Huntsville area. They loved the development, loved the builder and were ready to build a nearly 1/2 million dollar home. This is where “The Consumer Comes First, Always!” comes into play. Kathy is very diligent and takes her responsibilities as a Realtor® seriously. Kathy York began doing her homework on the builder, the development, and Home Owners Association (HOA). In case you aren’t aware, Alabama offers VERY little protection, if any, to buyers. Particularly with new construction and new subdivisions. …more on that in another post. While doing her homework, Kathy not only discovered that this builder had a lien on a previous home that had been built, but that the builder also did NOT in fact own all of the lots as he claimed. Several of these lots were already foreclosed on and the bank still had plenty of them to sell. Kathy then made a few phone calls, and saved her clients back sides, to say the least! Had these buyers purchased from this builder, they could have been at GREAT risk of having mechanic liens against their home at closing, or having the neighborhood restrictions changed to allow much smaller homes to be built. More than likely in these cases, often discount builders move in. Can you imagine what this could do to a purchasers home values? …Sadly, we’ve seen it take place in the Huntsville area this year, in several subdivisions. Thank you Kathy for always putting your clients first! Are you the Helpful Agent or just a Crab? If Your Agent Tells You to Reject an Offer – Fire Them! Thank you for that. It is the consumer/client who will be giving you the money anyway if the deal pushes through so better treat them right. Previous post: Huntsville Housing Market – 2011 Begins with a Bang!